An award-winning spa, My Cozy Room is the proud winner of Most Desirable Beauty & Spa awards 2012 & 2013, awarded by Blissful Brides magazine. i always love where they are located… 56A carnhill road… it is off a corner where there is a japanese restaurant downstairs. And there is signboards along my way there. And finding a gift for mummy is pretty much of like… i almost given her alot of things she likes… so i thought of bringing her to a facial would be the best. Also, at the same time i can do my timely maintenance on my skin. 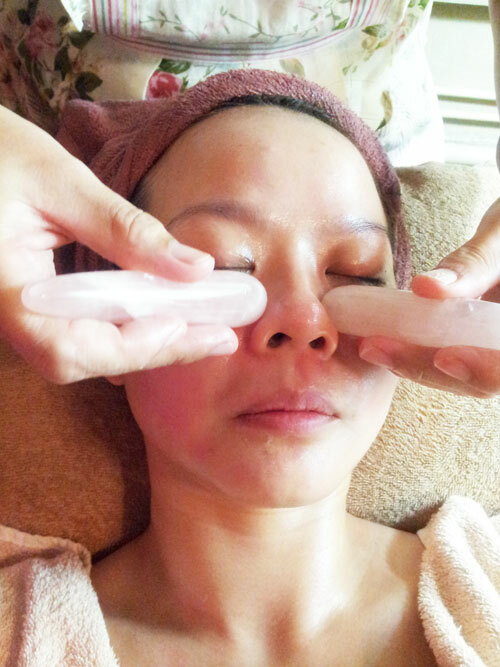 I had pretty lots late nights and alot of hectic work… well oh well… having a Rose Quartz Facial and Eye massage is what i am craving for. Actually this treatment can be for the men’s too. they do have a man’s facial room as well. My Cozy Room signature shoulder massage … all my tightness from using the computer, from driving, from reading , gonna let go all the tightness in me. 🙂 Relax!!!! A spa fit for beauty-kings & queens, My Cozy Room is the Official Beauty Spa for Miss Singapore Beauty Pageant, Miss Singapore Intercontinental, Mrs Singapore & even ManHunt 2012. My Cozy Room uses the award-winning Germany’s No. 1 Professional Skincare ~ BABOR as our preferred brand for facial treatments. • BABOR is a 56-year-old award-winning German brand known for its effective skincare concepts and products based on innovative & natural ingredients that are co-refined in special scientific research. • Effective results after every treatment! -Doctor BABOR Collagen Booster Cream Sampler (5ml) worth $35. • Facial cream to restructure and lift the skin from the inside. • The alternative to anti-wrinkle injections. Restructures the skin and plumps it up intensively from the inside. • Reduces fine lines and wrinkles and inhibits the degradation of collagen fibers. Now… how do i look after my facial ?